The JustLuxe Hotel Collection celebrates the World’s Best Hotels by offering partners a new way to improve upon current hotel marketing initiatives. In its continuing quest to connect luxury hoteliers with affluent travelers, the luxury travel experts have developed and employed a unique strategy known as aesthetic distribution. Designed to feature the hotel’s most vivid imagery, the newly enhanced template encourages social engagement and provides direct response tools as a means to measure results. The customized template allows luxury hotels to reach their target audience on a consumer level, engage with social media fans, as well as facilitate bookings through an online GDS-powered booking engine. With a portfolio of more than 1,700 luxury hotel partners, the JustLuxe Hotel Collection is dedicated to providing partners with new, innovative ways to increase online visibility. As an added value to editorial coverage, preferred city guide placement, targeted banner ads, and dedicated call-center tracking, the new enhancements maximize the ongoing effort to create brand awareness. The company has recently expanded its efforts by introducing the World’s Best Hotels, a collection of enhanced hotel listings designed to increase brand awareness and social presence while maintaining high standards of luxury. JustLuxe has extended its methods of aesthetic distribution to the most relevant sections across the site, from its new luxury travel and hotel news sections, to its extensive collection of Best Spa Resorts and Best Family Hotels. This entry was posted in Which Open Source Blog and tagged Hotels, JustLuxe, Launches, Luxury, Marketing, Social, Strategy on March 4, 2013 by Administrator. StreamSend, a leading email marketing service provider and creator of the social marketing tool suite StreamSend Share, has named the three steps to successfully guide businesses in creating social marketing campaigns that add new social fans and build relationships with existing fans. Businesses can now leverage the power of social media to create profitable relationships, said Dan Forootan, president of StreamSend Email Marketing. Each campaign creates a series of social contact points where customers can like or share the message, and send that message further into the social network to find more customers. Just how far it travels depends on the content value and how well the social campaign is executed. Here are the three important steps that clients report make the biggest difference for them. This entry was posted in Which Open Source Blog and tagged Email, Marketers, Social, Steps, StreamSend, Success, Take, Three on March 3, 2013 by Administrator. Making it even easier to reach more clients in less time, FitNews.TV, an online fitness marketing solution designed for personal trainers, coaches and teachers looking to build their brand and business, recently enhanced its email newsletter services and updated its website for fitness pros. Providing the latest mobile marketing services for anyone in the fitness industry, FitNews.TVs outreach services now include a new advanced email editor, which makes creating and sending newsletters to fitness clients easier and faster than before. An affordable online and mobile marketing solution, FitNews.TV also offers a one-month trial for just $ 1. FitNews.TV gives personal trainers, fitness instructors and coaches the ability to send email campaigns anytime and from anywhere; its all about making it easier to reach out to current and new clients and expand business opportunities, said John Spencer Ellis, founder of John Spencer Ellis Enterprises, a fitness and personal development solutions company, and FitNews.TV. We can help you connect with clients and create emails that will instantly grab their attention. In addition, FitNews.TV offers text message marketing, social media outreach, search engine optimization, blog content and more, all customized for fitness pros. FitNews.TV also uses advanced techniques to ensure reliable delivery of all of email campaigns. The engine FitNews.TV uses boasts some of the highest deliverability rates in the industry, is anti-SPAM compliant and supports double opt-in email marketing. This entry was posted in Which Open Source Blog and tagged Coaches, Enhances, Fitness, FitNews.TV, Instructors, Marketing, Media, Online, Owners, Personal, Services, Social, Trainers on March 2, 2013 by Administrator. TrafficPRM, a full-service online marketing firm, and Aegis Professional Services, a multi-service advisory firm to businesses, have announced a joint webinar that will cover the legal and ethical boundaries of social media and online marketing. The webinar, Social Media, Meet Federal Regulation, will be presented by online marketing expert Jenny Dibble, principal at TrafficPRM, and Mariquita Barbieri, a specialist in marketing law at Aegis Professional Services. The event will take place on Tuesday, May 22, at 11 a.m. CST/12 p.m. EST. To register for the webinar, anyone can go to the registration page. Attendance is open to the general public. Many small- and medium-sized businesses have begun social media marketing without fully considering the legal and ethical implications. Simple actions such as responding to a post on a business Facebook Page or asking customers to post reviews on review sites can impact a business both from a branding and legal perspective. The webinar is unique because it combines experienced points of view from legal and marketing veterans, and will help attendees make the most from social media platforms in a way that still protects their brand. “Small- and medium-sized businesses often think they are immune to FTC compliance online, especially with social media, because of their size. This simply isn’t true and one misstep can have serious implications. If a business is on Facebook or Twitter, or thinking about engaging in social media in the future, this is a must-attend webinar,” said Dibble. Social media marketing is an excellent way to brand a growing business, but business owners should be aware of how to market the brand ethically and legally on the Web. This webinar will teach all stakeholders marketers, agencies, brand managers, and other influencers the vocabulary and practices of risk management to face a regulated social media industry, said Barbieri. Monitor A Brand: How to seamlessly monitor mentions of the company, brand, and offerings online. Solicit Reviews from Customers: There are serious ethical and legal issues that come along with asking customers to write reviews about a company online. Pssst it is still possible, just learn how to do it the right way! Engage through Social Media Safely: A fan writes a negative comment on your Facebook page. Delete, write back, or ignore? The decision may have legal (and brand eroding) consequences! Communicate During a Crisis: In an emergency, do employees know what to communicate and what not to communicate to customers and press? We’ll provide tips to creating a plan and the rules to remember when getting started. Develop a Social Media policy for employees: If a business doesn’t have a policy, it could be at risk. Learn the ins and outs of what it should include and even receive a template to get started. The attendance fee for the webinar is $ 30. Attendees can pay by credit card via Paypal. Registration is open to the public. Interested parties can register here. TrafficPRM makes clients visible on the Web. A St. Louis Internet marketing agency, Traffic specializes in inbound marketing services that include search engine optimization (SEO), search engine marketing (PPC), and social media marketing. Traffic also develops communications strategies and national PR programs for a wide variety of clients. AEGIS is a multi-line advisory firm that helps businesses of all sizes achieve their legal, strategic, and financing goals. Today, AEGIS strives to uphold the tradition of the aegis by offering inter-related lines of advisory services- Legal, Consulting, Mergers & Acquisitions, and Capital Sourcing- to individuals, entrepreneurs, and businesses of all sizes throughout the United States. Our offices in St. Louis, Missouri and Chicago, Illinois are staffed with almost twenty professionals who bring a rich diversity of backgrounds, professional experiences, and specialized talents to the work we do on behalf of our clients. This entry was posted in Which Open Source Blog and tagged Aegis, Federal, Host, Media, Meets, Professional, Regulation, Services, Social, TrafficPRM, Webinar on March 1, 2013 by Administrator. Mike Koenigs, the mastermind behind video syndication software Traffic Geyser and the online do it yourself toolkit Main Street Marketing, has released Instant Customer Revolution, which is designed so that any small business owner, entrepreneur, author, expert, speaker, consultant or coach can use this system to grow a business and list quickly, easily and inexpensively. For more information on the Instant Customer Revolution, please click here. The Instant Customer Revolution program comes with a ‘Best of Box’. The “Best of Box” includes 14 DVDs, a massive 450+ page binder filled with simple, easy-to-follow, fill-in-the-blanks money-making contracts, scripts, templates, how-to-guides, sample ads, flyers, business card designs, sales presentations and much more! With the Instant Customer Revolution, customers can use the products and content in this system for as many customers as they want, charge whatever they want and keep all the money. There are no licensing fees, franchise fees, or royalties ever. “This Instant Customer Revolution is truly a business in a box,” continues Mr. Maly. For more information on the Instant Customer Revolution, please visit http://blackboxsocialmedia.com/getitnow and watch the informative videos. This entry was posted in Which Open Source Blog and tagged Black, Curt, Customer, Founder, Instant, Koenig's, Maly, Media, Mike, Reviews, Revolution, Social on February 20, 2013 by Administrator. 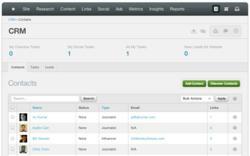 Raven Internet Marketing Tools has released a Contact Relationship Manager (CRM) for SEO and social media. The CRM tool makes it easier for Internet marketers to research and communicate with website owners and writers or Twitter influencers for SEO link building or social media outreach. Also, because the CRM integrates leads captured via third-party vendors Wufoo, AWeber and Campaign Monitor, it can be used to follow up on sales or email marketing leads. SEO and social media outreach today is more about relationship building than ever before, said Jon Henshaw, Ravens co-founder and chief product officer. It was important that Internet marketers have a tool to better manage those relationships. Henshaw said he designed the CRM with social outreach in mind. The CRM features tight integration with Ravens Twitter management tools. For example, without leaving the CRM tool, a user can see, reply, retweet and assign tasks for any Twitter account from any Twitter account they have authorized with Raven. The CRM will also track social tasks that encourage relationship building via social media. Henshaw said social integration was necessary for two reasons. Social media is a natural tool for building relationships, he said. And search engine algorithms are likely to increase their use of social signals posts, tweets, +1s going forward. Building relationships with the right people via social media is beneficial on many levels. As with all of Ravens tools, the CRM was built especially for teams. Contact information stored in it can be made available to teams, departments or an entire agency, depending on the outreach project. Theres a place to leave quick notes about a contact that all of the team can see, for example. Ravens CRM also includes customizable message templates for fast emailing, as well as a simple task management system. Recently, Raven also announced improvements to its customer plans. Agency accounts are $ 249 a month and now include unlimited users, while Pro accounts are $ 99 a month with double the number of users (eight). Raven made the user changes and added the CRM tool without increasing prices. For more information about how Ravens CRM tool works, see the companys blog announcement. For questions about the CRM tool or for more information about Raven Internet Marketing Tools, contact Arienne Holland, Ravens communications director, at arienne(at)raventools(dot)com or 615-576-0665. Raven Internet Marketing Tools online software helps customers quickly research, manage, monitor and reports on SEO, social media, PPC, email and other Internet marketing campaigns. Its collaborative, multi-user features and fast, professional reports make it the platform choice of thousands of online marketers worldwide. 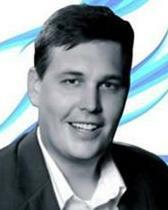 Raven Internet Marketing Tools, a privately held Nashville-based company, was founded in 2007. To learn more about Raven Internet Marketing Tools, go to http://raventools.com. This entry was posted in Which Open Source Blog and tagged Debuts, Internet, Marketing, Media, Raven, Social, Tools on February 17, 2013 by Administrator. Vana Workforce today announced the general availability of Vana HCM Release Update 6, delivered on Force.com, salesforce.com’s enterprise cloud computing platform for building employee-facing social apps. Vana HCM Release Update 6 introduces significant new and expanded functionality delivering one integrated human resource and talent management solution for small and medium enterprises available 100% in the cloud. Available stand-alone or plugged directly into a customers Salesforce.com environment, Vana HCM delivers a truly social and mobile experience for todays global workforce. HTML5 Mobile Support – Vana HCM Update 6 introduces dedicated mobile support using standards-based HTML5 for cross platform support including iPhone, Android, Blackberry, and tablet devices. Vana HCM Mobile enables employees and managers to stay connected and collaborate from any device and any where around the globe. Timesheet Entry – The new Timesheet functionality delivers timesheets for employees, managers, or administrators to enter time against earnings, locations, positions, initiatives and more. Timesheet templates offer configurability to enter time either weekly or bi-weekly, with complete integration with absence management. Vana HCM Timesheets offer an industry-first integration of goal and initiative setting with actual time worked to offer a holistic view of cost and time worked against key strategic goals. Job Board Posting Integration a new partnership with Broadbean Technology enables recruiters to instantly distribute job postings to thousands of boards directly within Vana HCM Recruiting. Payroll Connect for Paylocity – Vana HCM Update 6 includes pre-delivered integration with Paylocity Payroll as part of the embedded Payroll Connect product offering a completely configurable template based integration mapping tool to seamlessly integration with any payroll or 3rd party solution. Enhanced Employee & Manager Self Service – With Release 6, we’ve enhanced employee and manager self-service with new available features including manager absence request on behalf of employees, employee contact page for managers, compensation increases as part of manager promotions, and more. Chatter Messenger Chatter Messenger gives Chatter users real-time presence and instant-messaging capabilities. This means that users will be able see when coworkers are online and engage in private, one-to-one and multi-person instant messaging sessions. Vana Human Capital Management Update 6 is available now. Sign up for a 30 day Free Trial at http://www.vanaworkforce.com. Vana Workforce is the industry’s leading cloud provider of human capital management solutions specifically designed to the needs of small and medium enterprises. Vana Workforce HCM delivers a completed and integrated human capital management solution for global organizations form hire to retire. Founded in 2008, Vana Workforce has customers on every continent, and was recently recognized by Gartner Research as a “Cool Vendor” for 2010. This entry was posted in Which Open Source Blog and tagged Cloud, Enterprise, Generation, Next, Social, Software, Unveils, Vana, Workforce on February 17, 2013 by Administrator. Corsential, a provider of full-service Customer Experience Management (CEM) solutions, is pleased to announce that it has partnered with Clarabridge, Inc., the leading provider of CEM powered through sentiment and text analytics. The Clarabridge partnership provides Corsentials clients new options and tools to collect, cleanse, classify, understand, and operationalize actionable customer feedback themes from unstructured text information such as survey feedback, social media posts, and customer complaints. Identifying actionable insights from unstructured feedback and social media continues to become increasingly important and the Clarabridge solution helps further advance Corsentials CEM service offering. Through the use of Clarabridges leading analysis capabilities, sentiment insight and scoring, multi-source social media data capture, and analytics and visual dashboards, Corsential will improve their clients ability to extract actionable insights from large data sets and connect those insights to higher profits, increased market share, better products, and superior customer loyalty. The Clarabridge sentiment and text analytics solution will be integrated into Corsential standardized CEM offerings in mid-2013. The additional capabilities will allow clients to monitor whats being said in real time across a wide range of social media outlets including blogs, Twitter, Facebook, and other online media sources. Our goal is to provide actionable insights and drive more effective decision making through our Customer Experience Management solutions, says Steve Busby, CEO of Greenwich Associates, Corsentials parent company. We still see too much emphasis on the data collection and reporting components of CEM, which is needed, but the real ROI comes from decision making that ultimately increases shareholder value. Our partnership with Clarabridge provides best-in-class customer experience sentiment and text analytics and social media monitoring for our clients who value proactivity and actionability. We are excited about our partnership with Corsential and the potential to add value in Corsentials delivery of customer experience solutions in the financial services industry, said Sid Banerjee, CEO of Clarabridge. Were excited about the opportunity to grow our partnership community and help companies leverage Clarabridges capabilities to offer more comprehensive Voice of Customer solutions. This entry was posted in Which Open Source Blog and tagged Analytics, Clarabridge, Corsential, Media, Monitoring, NextGeneration, Partners, Sentiment, Social, Text on February 16, 2013 by Administrator. The Embassy Suites Cincinnati – Northeast Blue Ash hotel has officially kicked off a contest for their annual New Years Eve celebration. The community has a chance to win a VIP Getaway for two at the party simply by sharing their Dream New Years Resolution through a form on the hotels Facebook page. One lucky social media fan will win an overnight stay at the all-suite hotel and two tickets to this years masquerade-themed party. This prize, valued at $ 349, includes: a two-room suite with late checkout at the Embassy Suites Cincinnati-Northeast (Blue Ash) hotel, evening Manager’s Reception with snacks and cocktails, buffet dinner, open bar, champagne toast at midnight, midnight breakfast, and cooked-to-order breakfast in the morning. The Embassy Suites Cincinnati Northeast (Blue Ash) looks forward to continuing their commitment to engaging with guests both off- and on-line through this contest. The giveaway is open to anyone age 21 and older who like the hotels Facebook page and share their 2013 New Years resolution. The hotel will post these resolutions on their page and entrants will receive more entries to the drawing for each like their resolution receives. One random winner will be chosen on December 11, 2012. The annual celebration will be held on December 31, 2012 at the hotel located at 4554 Lake Forest Drive, Blue Ash, Ohio, 45242. Tickets are $ 349 per two persons. Call Debbie at 513-981-3758 for more information or to reserve tickets for the event. The Embassy Suites Cincinnati Northeast (Blue Ash) hotel is conveniently located near downtown Cincinnati, Ohio and offers spacious two-room suites. Guests of the hotel enjoy complimentary cooked-to-order breakfast each morning and conclude a busy day at the hotels nightly Managers Reception featuring free drinks and snacks. 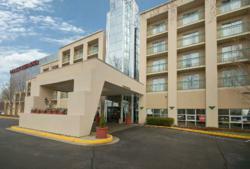 Other hotel facilities include on-site restaurant, fitness center, indoor pool and business center. Or contact: Patty Gibson at patty.gibson(at)hilton(dot)com. This entry was posted in Which Open Source Blog and tagged Announces, Blue, CincinnatiNortheast, Contest, Embassy, Hotel, Media, Party, Social, Suites, Years on February 12, 2013 by Administrator. DotNetNuke module developer, PackFlash, has just released a new version of their DotNetNuke Video module, which is a solution for providing a video library within sites built using the DotNetNuke platform. This version has the capability to provide integration to the core DNN Social functionality that was recently released with DNN 6.2 earlier this month. Users will be provided the choice to post to their personal journals as well as any of the community social groups that they belong to. The functionality allows for providing a personalized message and specifying the visibility setting for the post similar to posts that are performed manually on the personal journals and social group journals on the new DNN 6.2 social pages. The posts will be delivered to the appropriate social areas at the time that the video items are published to the website according to the rules and workflow settings. The PackFlash DNN Video module exists as part of the Constellation family. Constellation is a combination of eight DotNetNuke modules that are bundled together in an integrated fashion. The modules can be purchased individually, or as a suite. This level of integration is not seen elsewhere in the world of DotNetNuke (DNN). The full module suite includes Events, Image Gallery, Slideshow, Friendly URLs, Mega Drop-Down Menu, Comments, Videos and News & Blog Module for DotNetNuke. The Video modules purpose within the family is to handle display of video content, whether those videos are hosted on the site itself or are being pulled from a 3rd-party application, such as YouTube.com. Version 3.3 of the PackFlash Constellation DNN Modules also offers significant functionality upgrades to the Friendly URLs Module to handle re-writing for all standard menu and links that are dynamically generated. Re-writing will occur with core DNN modules, PackFlash modules, and 3rd party modules without requiring integration from any other vendor. Other features of Constellation version 3.3 include similar DNN Social integration for all of the content modules in the suite (News & Blogs, Events, and Gallery), DNN Social integration for the PackFlash Comments and Ratings Module for when a user comments on any item within the system, a new module called Collections that will serve as a means for users to save and manage personal libraries, as well as the ability to apply a tooltip template to any list at the administrators discretion. PackFlash is a developer of modules for the DotNetNuke Web Content Management System (CMS). Based in Chicago and founded in 2008, PackFlash produces superior, intuitive modules that push the functionality of the DotNetNuke CMS to new limits. For more information, please visit packflash.com. DotNetNuke software is used by developers, designers and business people to quickly build and easily maintain websites of all kinds. We are the number one Web content management solution in the Microsoft ecosystem over 700,000 websites have been deployed worldwide using our products. Our online store speeds up this process by offering over 10,000 apps and add-ons that quickly and easily extend our product. Thousands of organizations like True Value, Bose, Cornell University, Glacier Water, Pier One Imports, El Camino Hospital and the City of Denver have leveraged DotNetNuke to deploy highly engaging business critical websites. There have been over 7 million downloads of our open source project, which fuels an active global community one million strong. The rapid growth of our commercial products resulted in DotNetNuke Corp. being named as one of the fastest growing private companies in America on the 2011 Inc. 500 list. Founded in 2006 and funded by Sierra Ventures, August Capital and Pelion Venture Partners, DotNetNuke Corp. is headquartered in San Mateo, California, with offices in Vancouver and Amsterdam. For more information, please visit dotnetnuke.com. This entry was posted in Which Open Source Blog and tagged DotNetNuke, Functionality, Integration, Module, PackFlash, Provides, Releases, Social, Version, Video on February 11, 2013 by Administrator.